How to convert MP3 to AAC? How to rip DVD to XviD step by step? Convert M4V file, such as m4v to DivX/ Xvid/ VCD.. Convert QT MOV to DivX with Fx MPEG Writer? How to recover deleted file or folder? How to recover lost deleted excel file? Recover deleted or lost photos, images and pictures? Recover Deleted PST, WAB, PAB, DBX, Hotmail. How to record 2d and 3d games with FastCap? How to make AMR MMF MP3 Ringtone for mobile? Convert MP3 to Ringtone MMF, AMR, WAV, QCP. 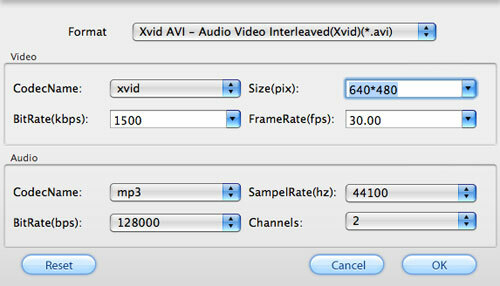 How to convert TOD to AVI, MPEG, WMV on Mac? Do you have a JVC camcorder? If the answer is yea-saying, you must be familiar with the MOD and TOD files. However, I also suppose that you must have encountered some troubles caused by the two formats more or less. This article will tell you what are MOD and TOD, and how to convert MOD and TOD files generated by JVC camcorders on Mac. What are MOD and TOD formats? In order to meet people’s different kinds of requirements in video recording, camcorder manufacturers have developed numerous types of camcorders. However, the recorded formats produced by these camcorders are various and special, and are not widely accepted by Mac or most portable devices we often use in daily life; therefore, these formats usually bring some troubles to camcorder users, MOD and TOD are the two formats among them. Both MOD and TOD are the informal tapeless video formats produced by certain digital camcorders. And both of them have never been given to any meaning explanations or official names by their creators JVC or Panasonic. 2、MOD is only used for standard definition video files, while TOD is exclusively used for high definition video files. TOD Converter for Mac will be introduced to help you convert MOD and TOD files generated by JVC camcorders on Mac. With the converted videos, you are able to playback on portable devices like iPod, iPhone, PSP, etc; edit with iMovie; upload online for sharing; and so forth. Now let’s start. Step1. Download Tod Converter for mac, install and run Pavtube TOD Converter for Mac. Add your recorded MOD or TOD files to it, and select whatever formats you need from the drop-down list of “Format”. If you want to edit with iMovie, you can select MOV or MP4; to play on your cell phone, you can select 3GP; to play on iPod or iPhone, you can select MP4; to share online, you can select FLV. Meanwhile, you are allowed to do some advanced settings according to your own requirements. For instance, you can reset the screen size or change the bit rate. Increase the bit rate, video quality will be improved, while file size will be enlarged. Decrease the bit rate, file size will be reduced, while quality is inferior to the original. Set which destination folder the output files will be exported to. You can export them to the default path or specify a path to locate them by clicking “Browse”. Click “Convert” button at the right bottom of the main interface to start converting. Once you have finished these editing and converting jobs, you can deal with the resulted videos with ease: Export MP4 or MOV files to iMovie to do further editing, or export 3GP files to your cell phone for playback, or export AVI or MPEG files to PPT to vivify your presentation, or export MP4 files to play on your iPod or iPhone, or export FLV files to upload to video websites to share with others, all in all, you can do whatever you like with them. 1. The converting speed of this software is 1-2 times faster than the similar converters. Batch conversion can be done in a few minutes. Merge multiple files into one file is also available. 2. It does not have the audio-video sync issues. 3. With exception of adding text as watermark, images, GIF animations, and videos can also be added as watermarks to realize the picture-in-picture effect. 4. You can use the “Trim” function to select certain video clips to convert. And you can also take advantage of the “Crop” function to remove black edges or change the screen size. 5. Specific effect models are provided, such as “Simple gauss blur”, “Simple laplacian sharpen”, “Aged film”, “Flip color”, and “Invert”. How to convert AVI MPEG MP4 to PS3 iPod FLV Apple TV Zune etc on Mac? How to convert AVI MOV WMV 3GP MP4 VOB MPEG to iPod on Mac? How to rip subtitles from DVD-Video disc, rip subtitle from VOB/SUB files? How to convert MPEG MOV 3GP VOB AVI to MP4 M4A AAC on Mac? How to convert MPEG WMV VOB MP4 AVI to iPhone Movies on Mac? How to Rip IFO, VOB to MP4? How to convert MOV to MPEG, MOV to AVI, MOV to WMV, MOV to DivX?